I want to clip the features based on selected polygon.I have the two layers "suburban" and "lot". 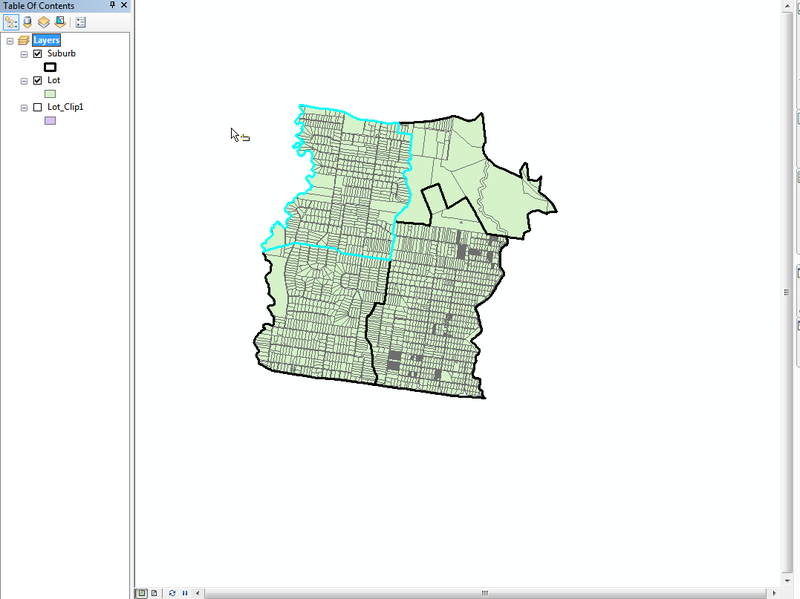 I want to clip features of lot layer based on selected polygon from suburban layer. I have tried manually in arc map 10.3 using Analaysis tools->Extract->Clip. It clipped lot features only which are underlying on selected polygons of suburban layer. But it's not working correctly when trying the same from ArcObjects .Net using geoprocessor interface. It's not clipping the lot feature based on selected polygon of suburban layer.Instead of clipping the lot features based on all the polygon of the suburban layer. I am also tried ITopologicalOperator QueryClipped functionality.It clip the features only in rectangular (envelop) size.It's not exactly clip the features based on irregular polygon boundary. How do I clip the features based on an irregular polygon? If the returned geometry is empty/null, then your feature completely outside the clipping boundary. Not the answer you're looking for? Browse other questions tagged arcgis-desktop arcpy arcmap arcgis-10.0 arcobjects or ask your own question. Select By Attribute using geoprocessing without using layers? Why does Clip analysis generate (some) empty output? 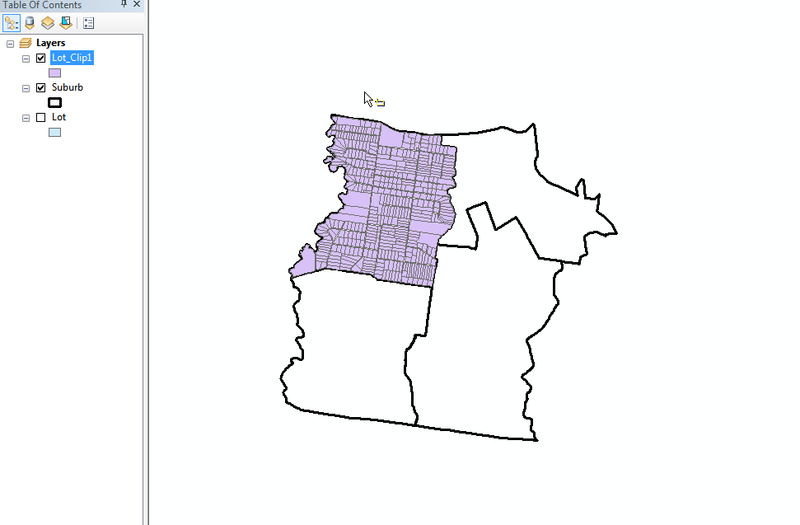 Clipping multiparted shapefiles to multiparted shapefiles? Clipping large shapefile in ArcMap and .dbf size remains same? Clipping feature from GDB using polygon boundary and ArcObjects?